Senate President Larry Obhof of Medina has appointed City of Medina Economic Development Director Kimberly Marshall to the Ohio Public Works Commission. The Public Works Commission provides financing for local public infrastructure improvements through both the State Capital Improvement Program (SCIP) and the Local Transportation Improvement Program (LTIP). SCIP is a grant/loan program for roads, bridges, water supply, wastewater treatment, storm water collection and solid waste disposal. LTIP is a grant program for roads and bridges only. “Kimberly is a dedicated public servant whose understanding of local infrastructure needs will be an asset to the Public Works Commission as they work to keep Ohio’s roads, bridges and waterways functional and safe,” said Obhof. Marshall has over 25 years of public service experience at the federal, state and local levels. 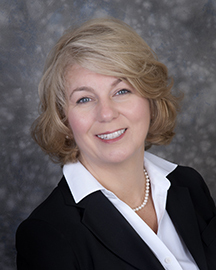 She is currently the Director of Economic Development for the city of Medina and recently received the “Best Public Leader in Revitalization” award from Heritage Ohio. Marshall’s public service career also includes working for the state of Ohio as a specialist in unemployment, workforce and business services, and at the federal level, with the Department of Defense in procurement and contract compliance. An active member of her community, she serves on the boards of Main Street Medina and The Children’s Center of Medina County.